This first season of podcasts by Continental Automotive will concentrate on an important topic in the Transport World: the introduction of Smart Tachographs. Who will it affect? What might you need to do next, and who can support your decision making processes surrounding a new era for the transport industry? In five episodes we will be discussing the future of tachographs, the legislation behind the changes, the data management requirements, the training for workshop technicians plus the tools that are required to download tachograph and driver card data. 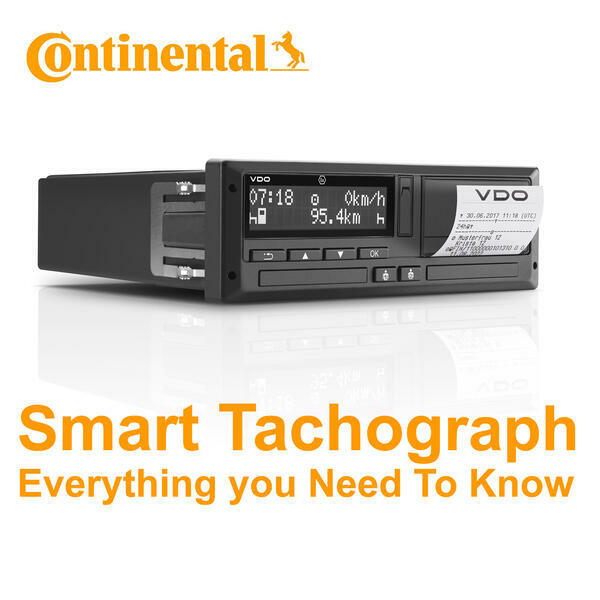 At the Commercial Vehicle Show 2019 Continental will be hosting a number of seminars in preparation for the upcoming changes taking place with Digital Tachograph legislation on the lead up to June 15th, 2019, which will bring significant changes to the Transport Industry. Register your interest here http://www.vdo-fleet.co.uk/save-the-date to reserve your place. If you have any ideas for possible episode topics that we should cover on the show, or you know someone that would be a perfect guest, make sure to connect us via our email address uk@vdo.com.